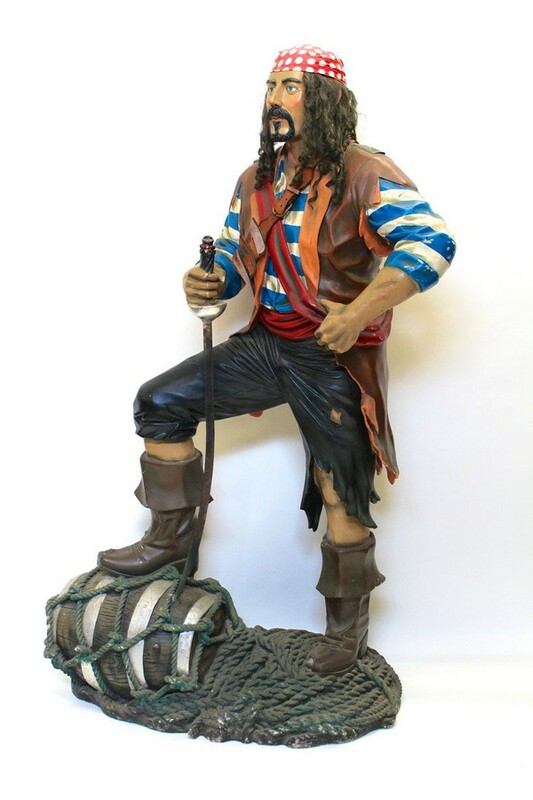 Fabulous Pirate model standing with his foot on a replica barrel. He has knives attached to his belt and a metal sword. 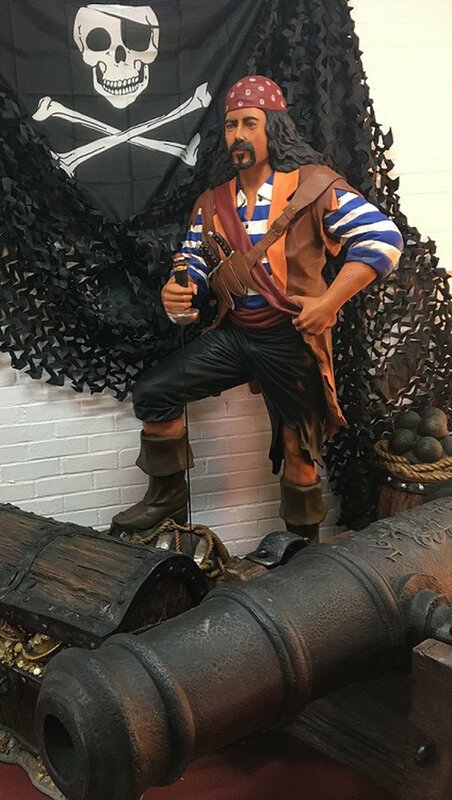 The rope-work around the barrel is incredibly realistic. 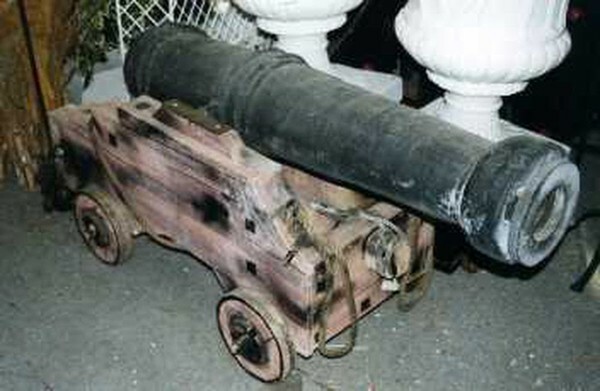 Replica Cannon is 6ft long and is superbly detailed. High quality, durable, cold cast poly-resin & fibre-glass. In as new condition, only a few months old & only used for display purposes at a single location.